Even aboard a super-powered big-game cruiser, catching a 600-pound torpedo of fighting blue fin tuna takes a lot of doing! 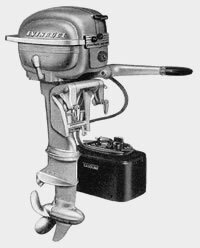 But Lansdell Anderson, Boating Editor of Field & Stream, figured that an Evinrude Big Twin had plenty of stuff to handle the job. He was right! 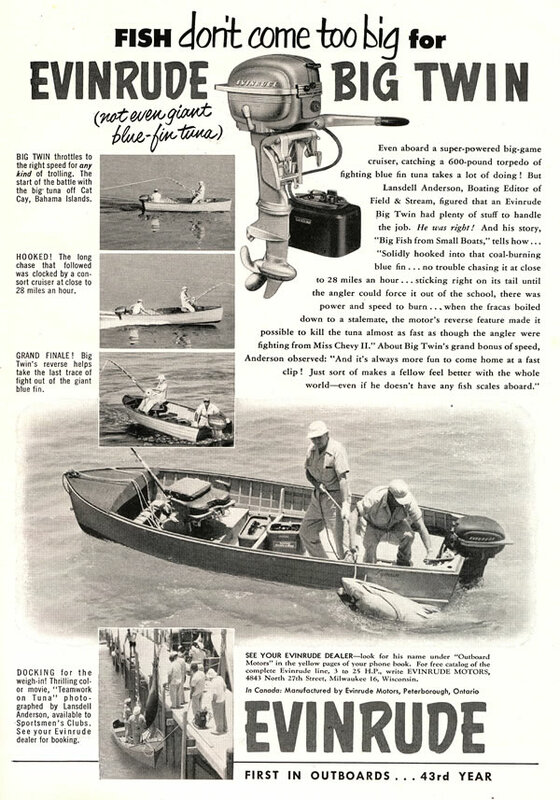 And his story, "Big Fish from Small Boats," tells how... "solidly hooked into that coal-burning blue fin... no trouble chasing it at close to 28 miles an hour... sticking right on its tail until the angler could force it out of the school, there was power and speed to burn... when the fracas boiled down to a stalemate, the motor's reverse feature made it possible to kill the tuna almost as fast as though the angler were fighting from Miss Chevy II." About Big Twin's grand bonus of speed, Anderson observed: "And it's always more fun to come home at a fast clip! Just sort of makes a fellow feel better with the whole world - even if he doesn't have any fish scales aboard." 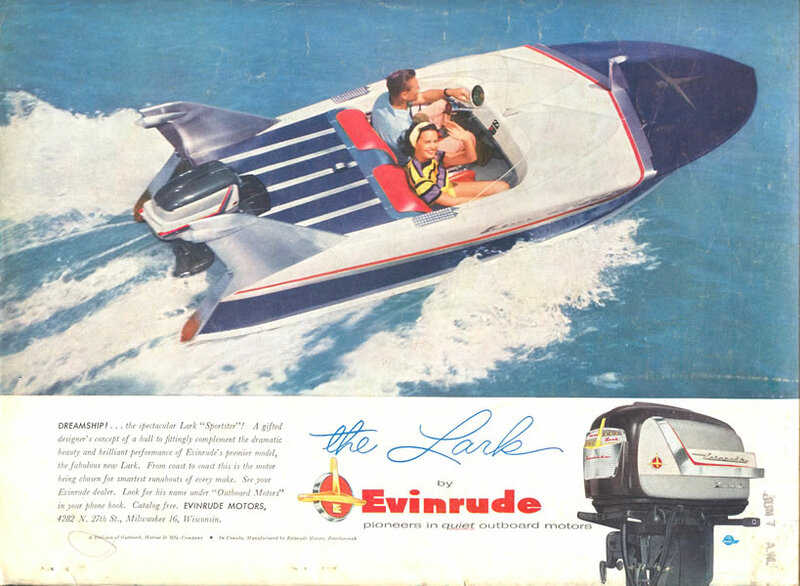 Manufacturer: EVINRUDE MOTORS, Milwaukee 16, Wis.